WildlifeSOS | Wildlife Save Our Species Inc.
Wildlife SOS is a not-for-profit organisation supporting wildlife conservation, and the habitat in which they live. We are based in the Clarence Valley of northern New South Wales, an area internationally recognised for the high level of biodiversity. Our focus is on native animals that are recognised as under threat, and/or is of local significance to the Clarence Valley. Please explore our website to learn more about our wildlife and the work being done to help them. For information on current and past projects, please visit Our Work and also our News page for Wildlife SOS in the media. For all inquiries, please Contact Us. If you would like to see more results in conservation of our wildlife, and the habitat in which they live, please donate to help our work. By filling in your reference and clicking on the Donate button below, you can make an instant donation via our PayPal account using your PayPal, credit card or debit card. Thank you in advance. 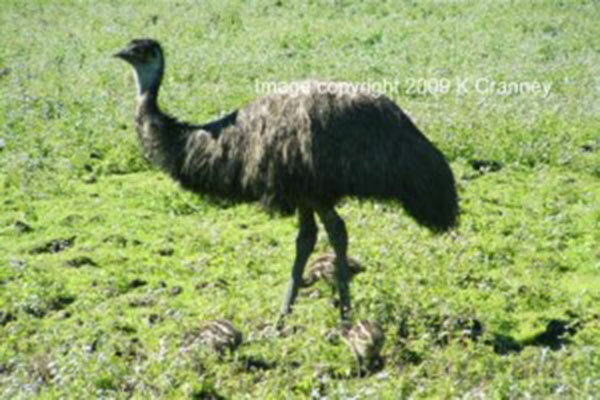 The Coastal Emu (Dromaius novaehollandiae) was listed as an endangered population in 2002. 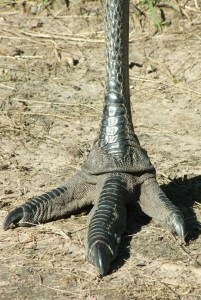 Evidence suggests that the Coastal emu may be a distinct species from the inland emu due to geographical isolation (they are isolated from their relatives by several hundred kilometres, and limited by the escarpments dividing the range).The coastal emu are smaller and darker than the inland emu; they reportedly have distinct feeding and behavioural patterns; and frequent thick scrubby bush as opposed to open plains. The viable breeding population of the eastern coastal emu is currently confined to an area which is estimated to be only around 70km N-S and 40km E-W. It is estimated approximately 85% of their habitat has been fragmented and lost in recent years, as coastal development places pressure on them. The annual survey in 2014 recorded a total of 85 emus. Coastal emus, once common, now face the possibility of extinction.